Jay got his real estate license in 2010. He has built his business on providing exceptional service to both buyers and sellers. Jay works throughout the metro Denver area. Jay has the heart of a teacher and believes in educating his clients so they can make informed decisions for their unique situation. Jay is a member of the Denver Metro Association of Realtors, the Colorado Association of Realtors and the National Association of Realtors. 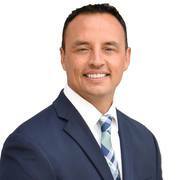 He stays up to date on Denver Metro area Real Estate trends and looks forward to working with you on the purchase or sale of your home.